January 19, 2018 at 11:11a.m. 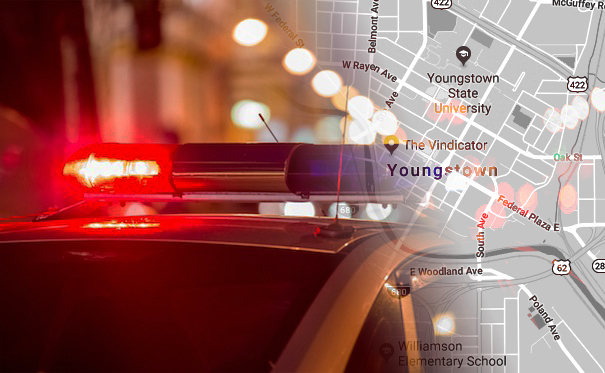 YOUNGSTOWN — Reports said a woman shoved a U.S. Marshal on Thursday morning who was at her Vestal Road apartment looking for her boyfriend, who was wanted on a warrant. Members of the Northern Ohio Fugitive Task Force were at the apartment of Christina Wilson, 38, about 9:20 a.m. and had to pry open a screen door when no one answered. They were looking for Ralph Smith Jr., no age given, who was wanted by the Ohio State Highway Patrol on a warrant on a felony charge of fleeing and eluding. Reports said marshals then used a key on the storm door but had trouble opening it because of Christmas decorations stacked against it. Wilson charged the door and tried to push the lead marshal out of the way, reports said. Marshals ended up getting in and found Smith in a bedroom with his 4-year-old daughter. He was arrested as was Wilson on a felony charge of obstructing official business. October 6, 2015 1:36 p.m.